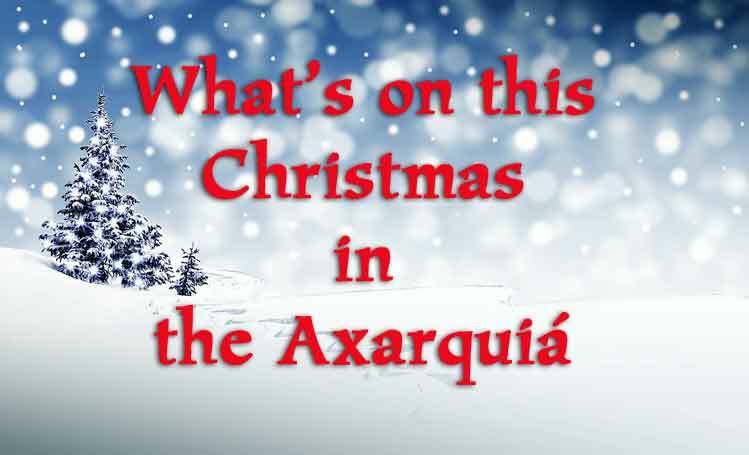 Axarquiá Christmas events - listings in town / village order. 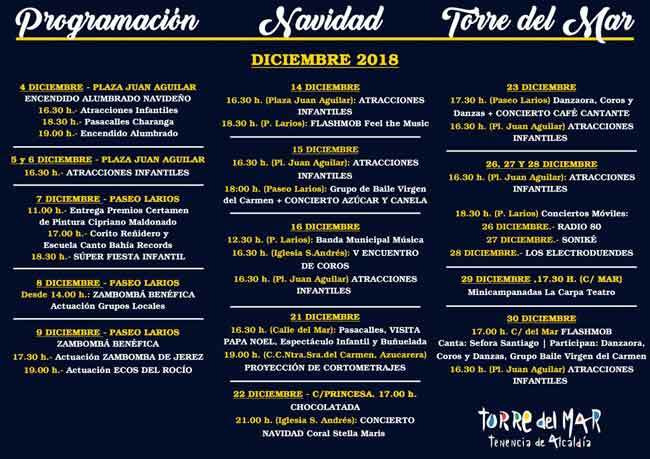 Here’s our listings for some of the Christmas and New Year events in the Axarquia. 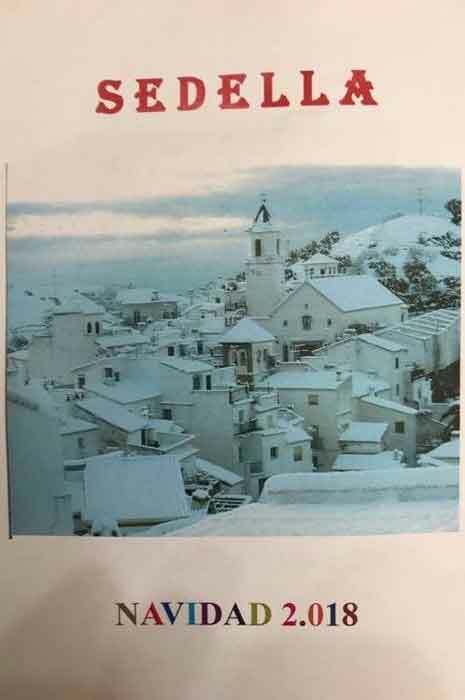 If we get more details from other villages – we will add to the list. 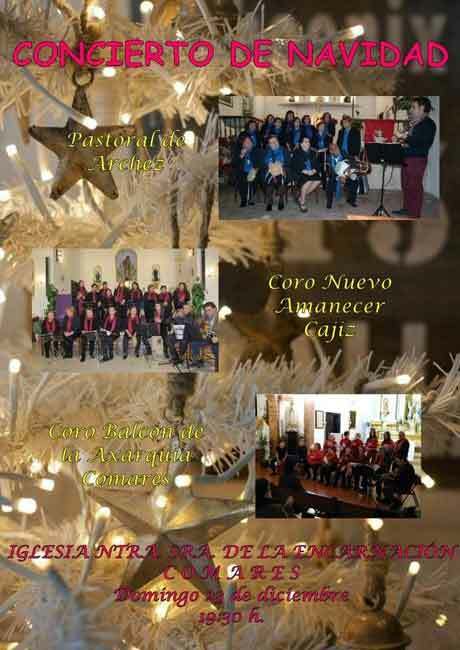 5.30 pm: Christmas carol concert. 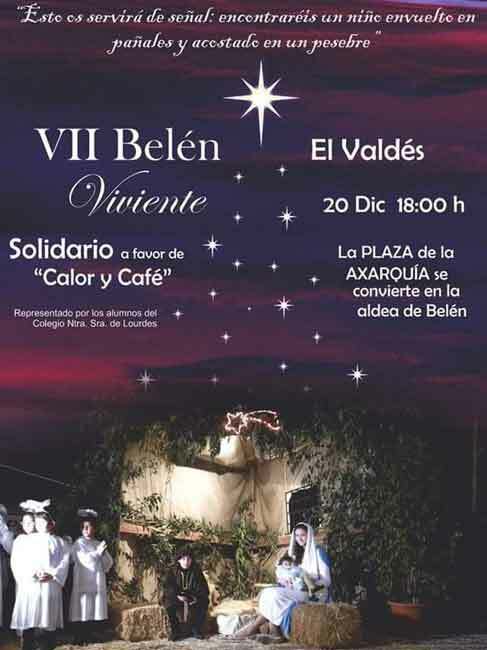 7:00 pm: Belén Viviente (Living Nativity) at Plaza del Ayuntamiento. All are invited. 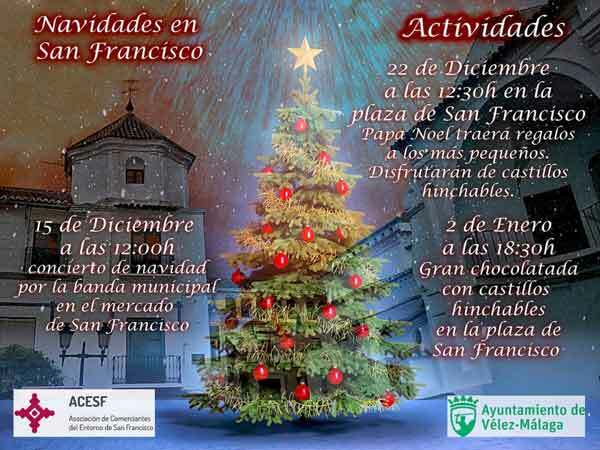 From midday: Christmas market with Christmas carols, churros and chocolate and a visit from Santa. 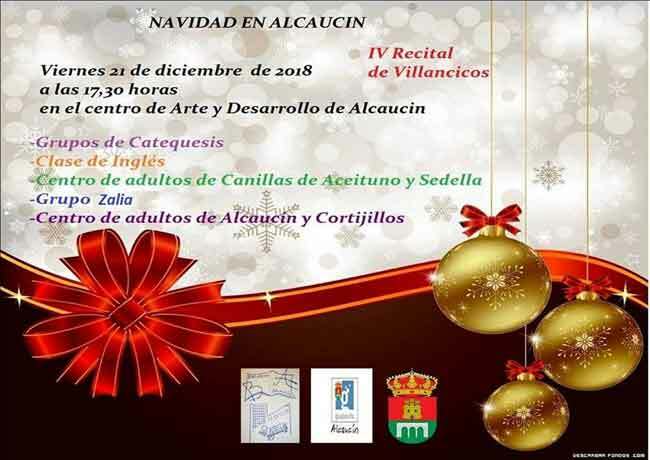 Carol recital for the benefit of the parish. 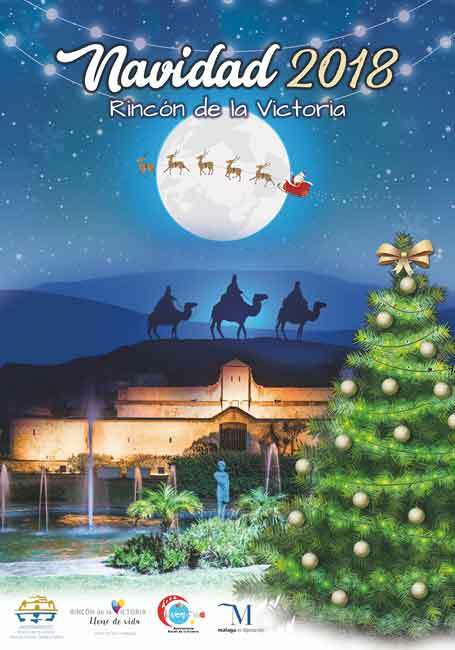 The Royal Postman to the Three Kings at 5.00 pm with fun and activities for children. 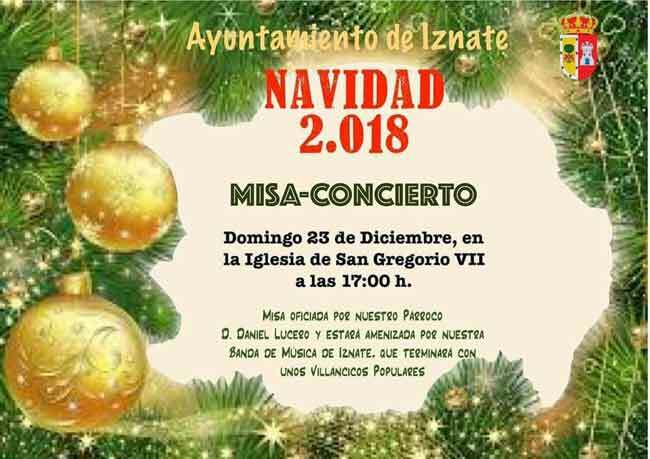 from 4 pm through the streets of Mezquitilla, Algarrobo Costa, Trayamar. 11:30 am. The streets of Algarrobo (pueblo). 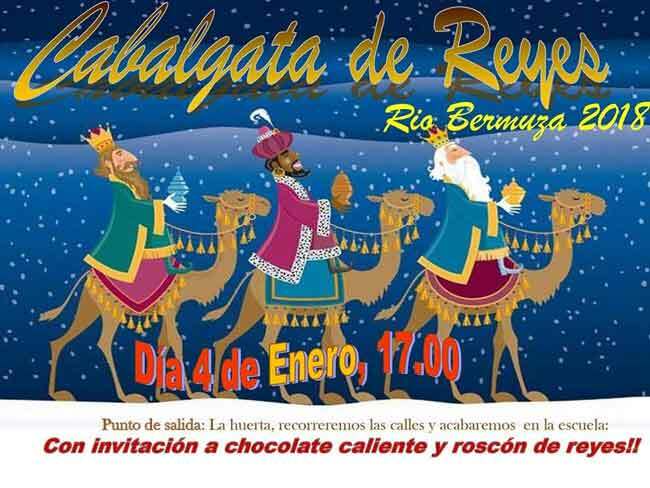 4:30 pm: Children’s party and a visit by the Royal Postman for the Three Kings. 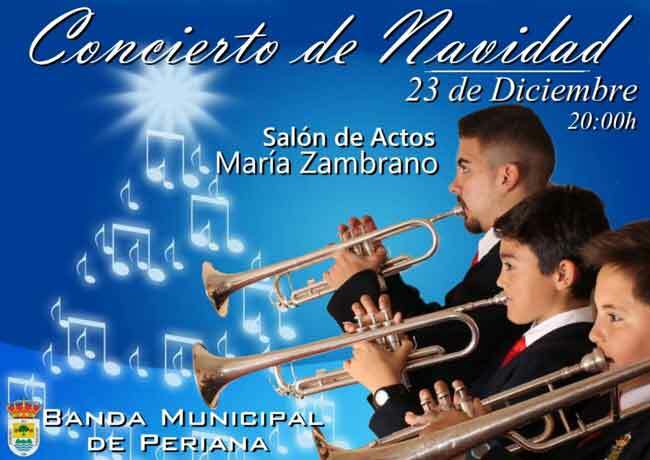 6:00 pm Christmas Fiesta with dancing and activities. 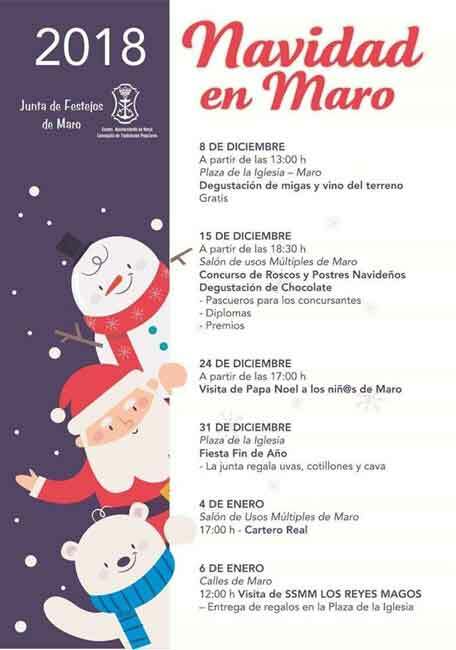 From 5.00 pm: Father Christmas visits the children of Maro. 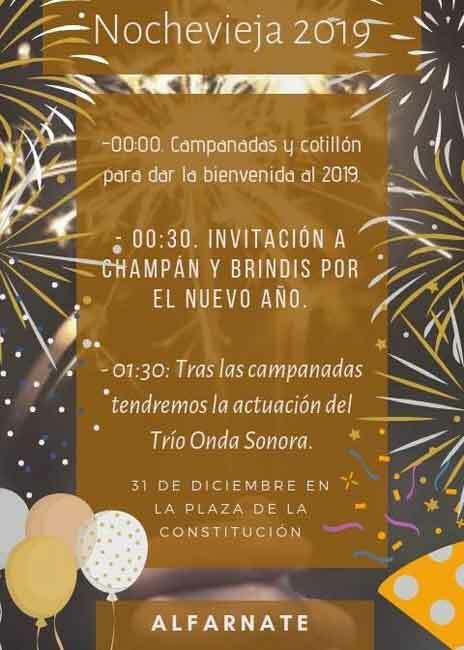 End of year celebrations on the plaza de la Iglesia with grapes and champagne! 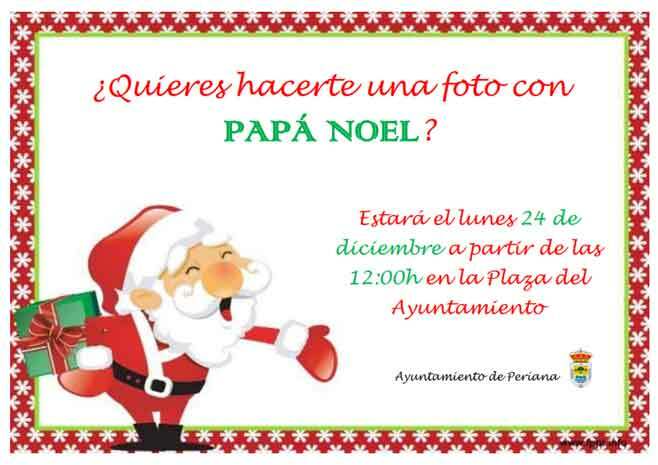 Midday: Parade of the Three Kings with gifts delivered to the children from the Plaza de la Iglesia. 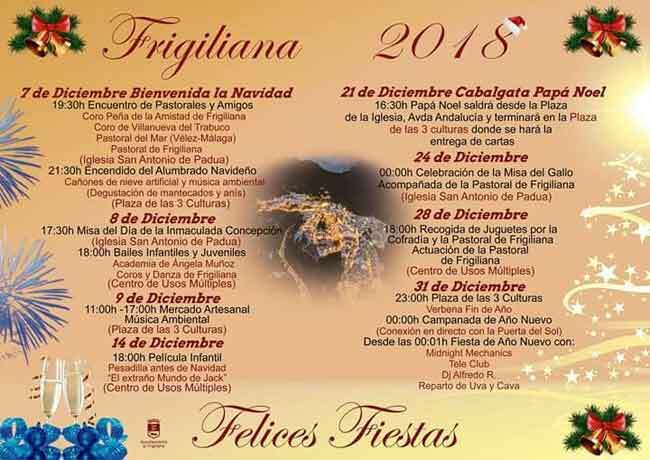 For events in Nerja this Christmas and New Year – read our blog here. 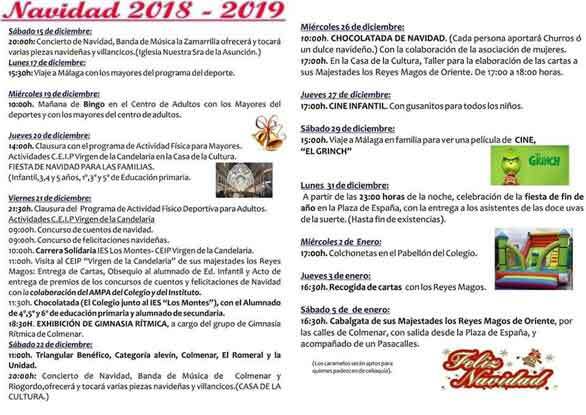 Royal Postman – collecting children’s letter for the Three Kings. 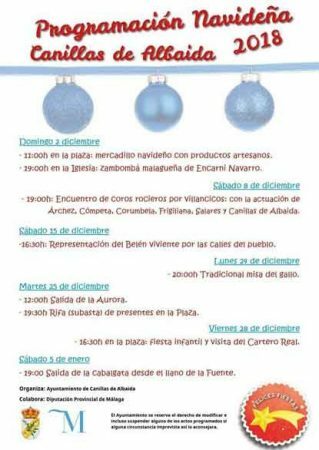 11:00 – 14:00 and 4.30- 9.30 (24 & 31st 11-2 pm) Christmas Feria. 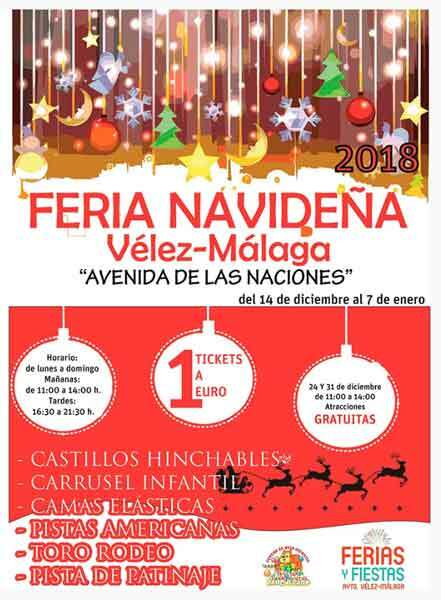 Plaza de Las Naciones, tickets 1 euro. Children’s entertainment inc. bouncy castles, carousel, trampolines, rodeo bull and skating rink. 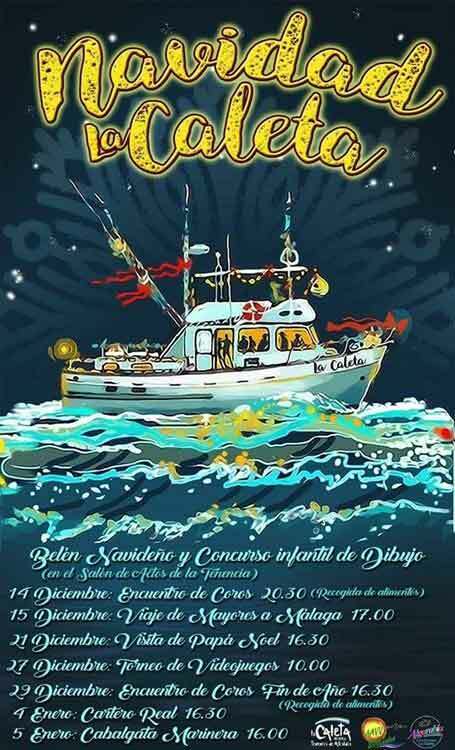 Starting from 9.00 at the Repsol AP7, Vélez Málaga. 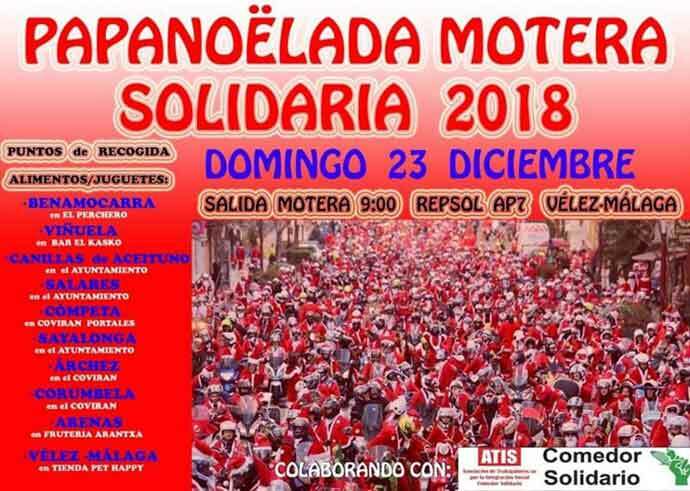 Not too many details on the poster but it is the distribution of toys and food to needy families by motorcyclists, dressed as Father Christmas. 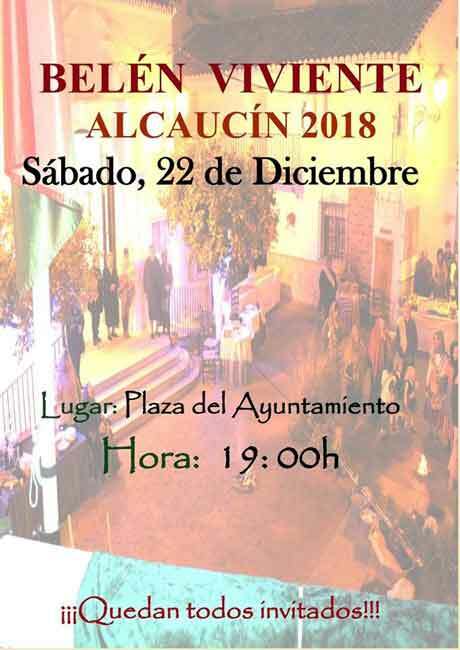 The event is in collaboration with ATIS (Asociación de Trabajadores por la Integración Social) Comedor Solidario. 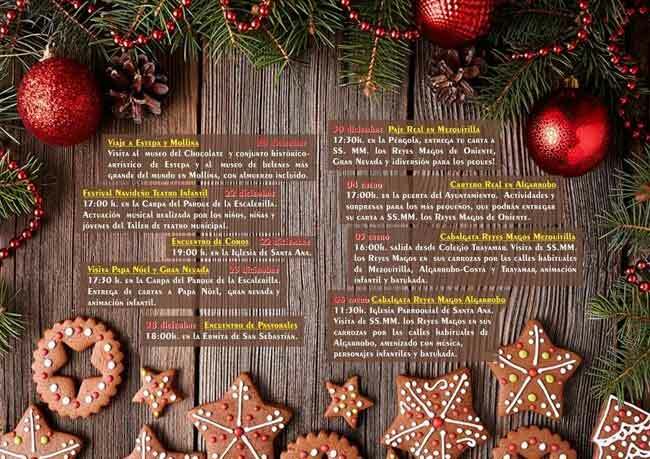 If you would like to contribute there are points of collection for toys and food at various towns – see details on poster below.